Perhaps you have gathered by now that I love lace. It looks particularly effective on old photos. The frame is approximately 600x600pixels and in psp format. I love this one too! 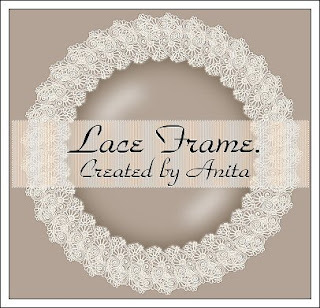 I make bobbin lace as one of my hobbies! Not that I'm terrific at it! I like to have a go though. Thanks so much again.